There are four different coins (borrowed) placed on top of a small box. Also the box lid has four different numbers (1, 2, 3, and 4) printed on it. 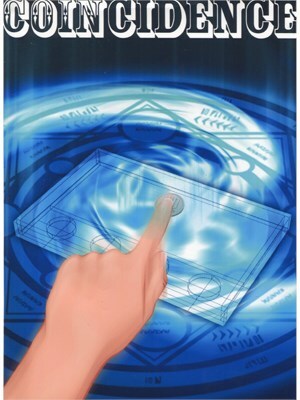 The magician moves the four coins to the four positions according to an order chosen by a spectator. When the spectator removes the lid, another four coins are found inside the box in the chosen order.These prediction coins are not just placed, but firmly fixed to the box. Based on Mr. Yoichi Akamatsu's idea, Kreis Magic produced this trick.